Dani, your words were like those from the sister I’d always imagined. They gave encouragement, testified about my trials and forgave me my trespasses while lighting a fire under my behind with enough heat to deliver me from evil. Most importantly your words seemed to speak of the difficult mother/daughter relationship that still menaces me. Your description of the toll paid for that turmoil was resonant. I have no siblings. The only person that was able to share with me the experience of Mom, was Dad. He’s long gone (rest his soul), but now I completely understand why. It’s because the occasional circus can be exhilarating, but nobody wants to be that close to ringside every day. So, he died in 1990, exhausted no doubt after a long day of shrinking from scary clown acts and the threat of an untamed lioness. Without Dad as her captive audience, Mom’s mania was left to venture from the tent. It became the greatest show on earth (a bit of her narcissism) in its exercise of endless emotional drama…but this is not my life in review. 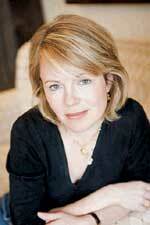 It’s a review of Dani Shapiro’s, Still Writing; a book about the perils and pleasures of a creative life. Dani has interwoven her “Mom” experiences with her life as a writer, so we do get some of her life in review. This is where I personally connected with her book and where her narrative was akin to my own. Dani covers a seminal event in her life; the auto accident that killed her father and severely broke her mother. She talks about the dysfunction that was there between her mother and herself before the accident, which only got worse after her father’s death. She’s frank about the impact the relationship with her mother had on her psyche and her writing. I too find myself digging deep to remember details of my journey with Mom; details I’ve tried to leave behind, but are important to my greater personal understanding and spiritual freedom. Dani’s words about her mom vividly capture a place from which I sometimes write. Dani hits home with honest sentiment and beautiful prose. She supplies an anecdotal line-up depicting her writing life. She does this in small, easily digestible chapters that make-up three sections—“Beginnings,” “Middles,” and “Ends.” I have a special affinity for her chapter titled “Tribe.” In it, she basically describes how us writers must sometimes shun the commune in community lest we expose ourselves to the discomfiting (a word I learned from Dani) circumstance of being found off-task. I can relate to a self-imposed cloistering. There was a reason this became a popular practice throughout nunneries and monasteries. Cloistering can allow for intensity of focus—it demands discipline—something I’m learning to embrace. She brings up the topic of discipline in many chapters and in many ways, but her chapter, “Gravy,” is aptly titled. Here, Dani summed up “the why” of discipline and its result—a sense of accomplishment–hence the name “Gravy” signifying everything that makes the habit of meat and potatoes worthwhile. …Which brings us to “Ends.” Dani’s chapter, “On Having the Last Word,” was a page practically lifted from my conscious. She addressed what I’d been grappling with from the moment I decided to write. My copy of Still Writing is filled with post-it notes and bookmarks. I’ll most certainly go back to it from time to time. It’s filed under “emotionally uplifting” with my reference books. And it stands alone. Thanks Dani, for talking to me via this book like the big sister I always imagined would be chock full of wisdom. Thanks for your reassurances and reminders to keep forging ahead with a passion for writing. Thanks for commiserating with me on my mother/daughter relationship. Writing through this has made me an open book, but it’s inspired me to forge through the middles and find an end as you have done in Still Writing. Writing such as this is cathartic. Thanks for this wonderful book that truly inspires and shows us why you’re still writing. You can catch up with what Dani Shapiro is writing and saying via her website, http://danishapiro.com/category/blog/moments-of-being, and on YouTube by just typing in Dani Shapiro.